Paris Saint-Germain forward Kylian Mbappe has claimed that Cristiano Ronaldo and Lionel Messi will not win the Ballon D’or this year. 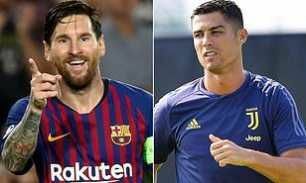 Messi and Ronaldo have dominated the award for over a decade now and are both keen to win it again in 2018. Since 2007 when AC Milan hero Kaka won the award, no player has won it apart from Messi and Ronaldo. Cristiano Ronaldo has helped Juventus to a great start to life in the Serie A after winning the Champions League with Real Madrid last season. Meanwhile, Lionel Messi has been on fire, scoring 12 goals already this season to help Barcelona top La Liga. However, Kylian Mbappe believes Ronaldo and Lionel Messi will not win the Ballon D’or this year – because it is a World Cup year. “Nobody is doing better at the moment and we can’t say it’s the end of their era because it will only end when somebody else does better than them,” he said. “I don’t think one of them will win the Ballon d’Or this year because it was a World Cup year, and the World Cup takes precedence. “But if you take the player in the purest form, there’s nobody better yet. This yearthey were again the best two. Mbappe is also on the 30-man shortlist released by France Football last month and the 19-year-old would love to be become the first French player to win theprize since Zinedine Zidane. “Frankly, I hope so (win the Ballon d’Or),” he added. “It would not be unjust because that is a strong word, but it would be a shame if a Frenchman does not win it. 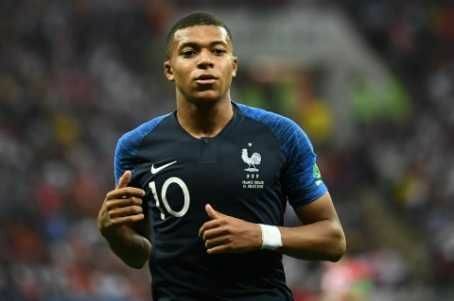 0 Response to "Cristiano Ronaldo And Lionel Messi Will Not Win Ballon D’or – Kylian Mbappe"